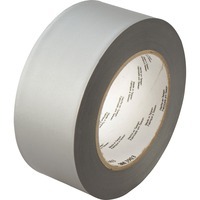 General purpose tape is ideal for a variety of purposes. It able to withstand temperatures up to 200 degrees Fahrenheit93 degrees Celsius for up to 30 minutes, ensuring durable and reliable service when used for general shop and temporary repair applications. Its high tensile strength makes it ideal for bundling materials. It works well for process tagging, marking, color coding, identification and enhancing decor. The tape tears easily, across or down, without curling.